Standing at 1,085m, it’s not the mountain’s height but its breadth that’s most impressive. The stark, scarred northern face hulks across the skyline, topped by a vast plateau that stretches for three kilometres. Two subsidiary peaks flank the main mountain: Lion’s Head (669m) to the northwest and Devil’s Peak (1,000m) to the northeast. 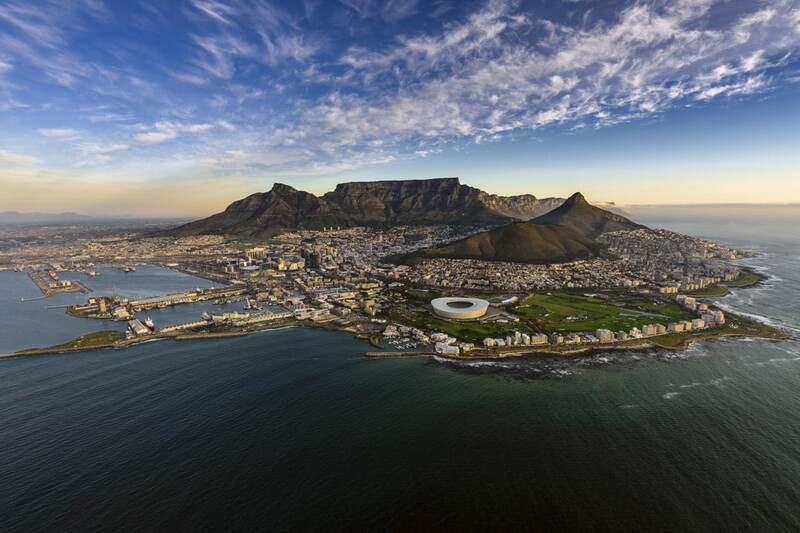 Together with Signal Hill, these dramatic peaks form the natural amphitheatre of the City Bowl and Table Bay harbour. 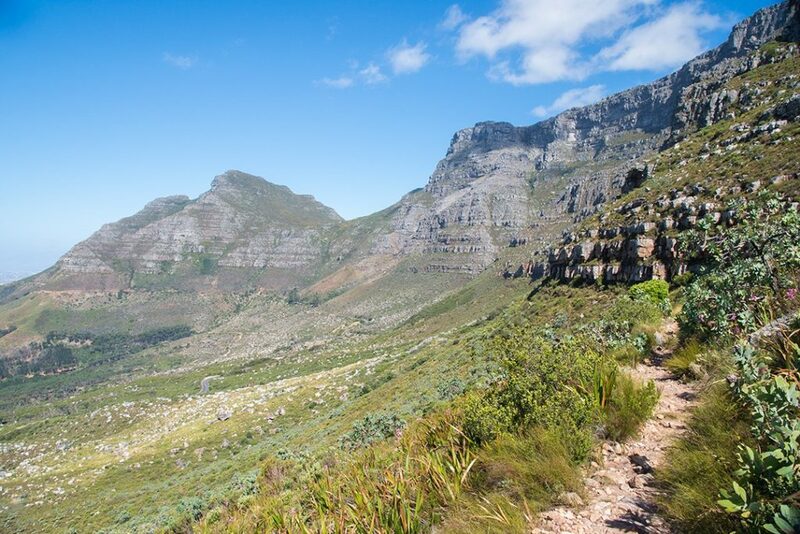 Hiking Table Mountain is on most tourist to-do lists, but is often underestimated given its proximity to the city. 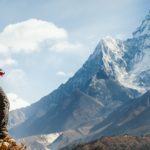 Here, we share 10 tips to help you to the top. 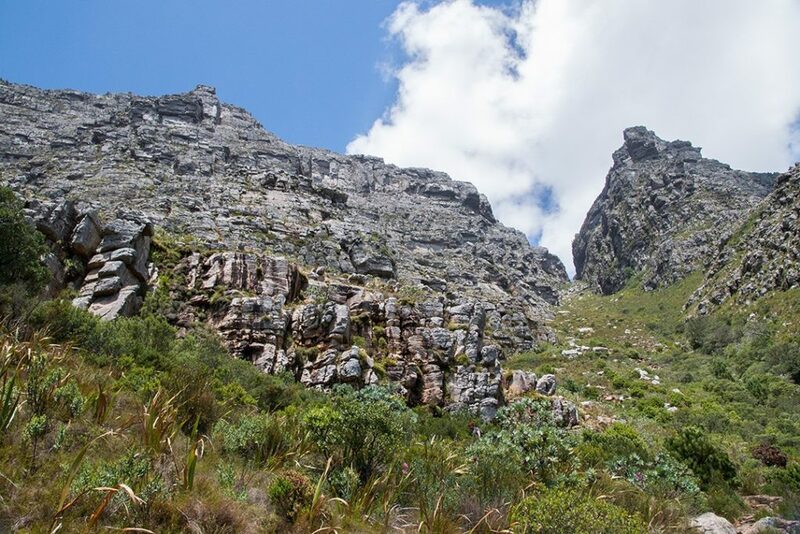 There are numerous routes available for hiking Table Mountain. 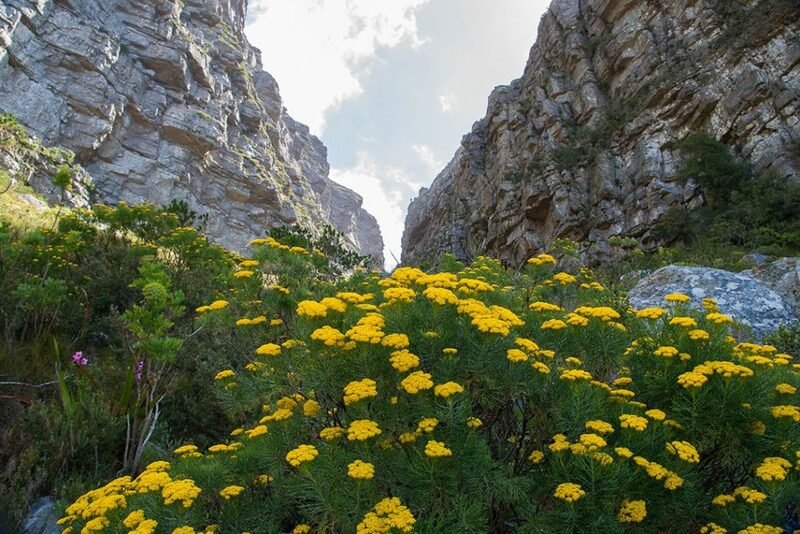 If in doubt, opt for Platteklip Gorge, the easiest and shortest (but also the steepest) route up the mountain. 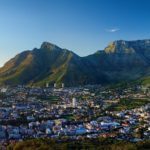 It follows a well-maintained trail up a deep ravine on the iconic front face of the mountain and is the route taken by António de Saldanha on the first recorded ascent of Table Mountain in 1503. For an alternative route with even better views, opt for Skeleton Gorge (6.2km, 4hr). 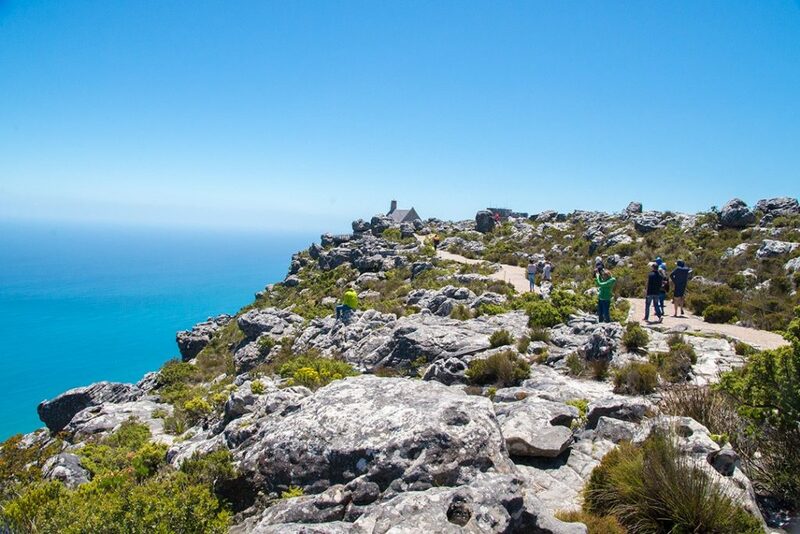 Hiking Table Mountain via Platteklip Gorge does not begin at the cableway parking lot. You can start there, but it will add a long traverse across the mountain. With this in mind, if you take a taxi, make sure you’re dropped off at the Platteklip Gorge parking lot 2km further down the road. 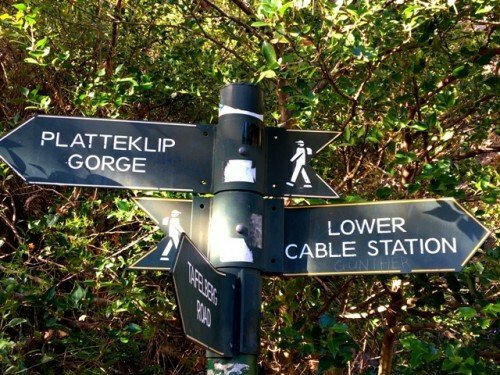 Similarly, if you hike down Platteklip Gorge, you will end up 2km away from the cableway station. On your way down, look out for a sign pointing to the Lower Cable Station. 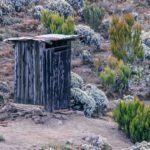 At this point, you may wish to turn off Platteklip as we did and use the traverse trail across the mountain to the Lower Cable Station where you can catch a bus or find a taxi more easily. 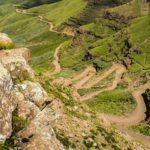 Even the so-called ‘easiest’ route of Platteklip Gorge can be a challenge if you’re unfit, if the weather turns or if you start late on a hot day. Don’t expect a walk in the park. 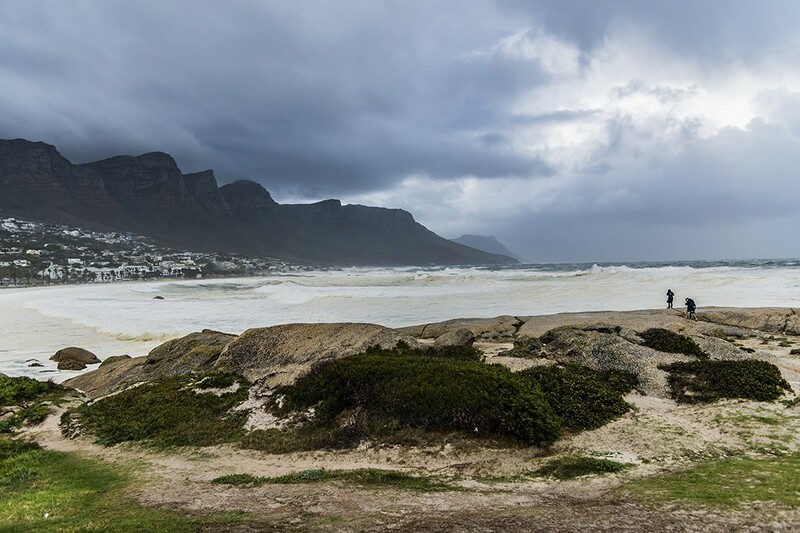 Given Cape Town’s deep blue skies and post-card familiarity, it’s easy to forget that Table Mountain is a wild place. Pack like you’re climbing a mountain. 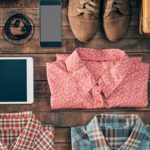 Take sunscreen, snacks, decent walking shoes, a jacket or fleece and at least 1.5 litres of water per person. The weather can change quickly and even under summer skies, the summit can be blustery so don’t forego the fleece. 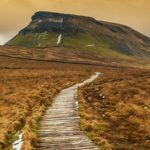 If you’re attempting one of the less trodden routes, make sure you pack a map. 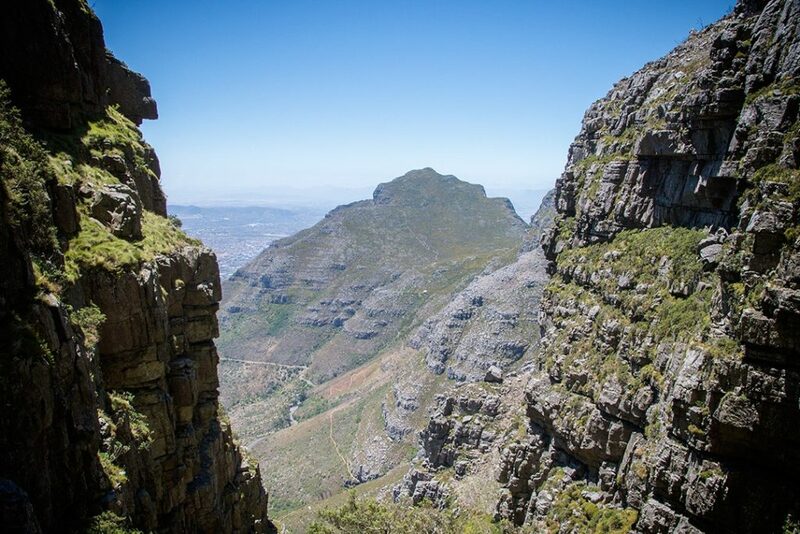 Hiking Table Mountain in and of itself can be done alone, but there have been various safety concerns and reports of crime, so our advice is to hike with a buddy or join a tour. 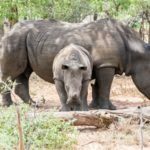 Keep the emergency numbers listed on SANParks’ website to hand, never show off your valuables and, if accosted, hand over your belongings without objection. 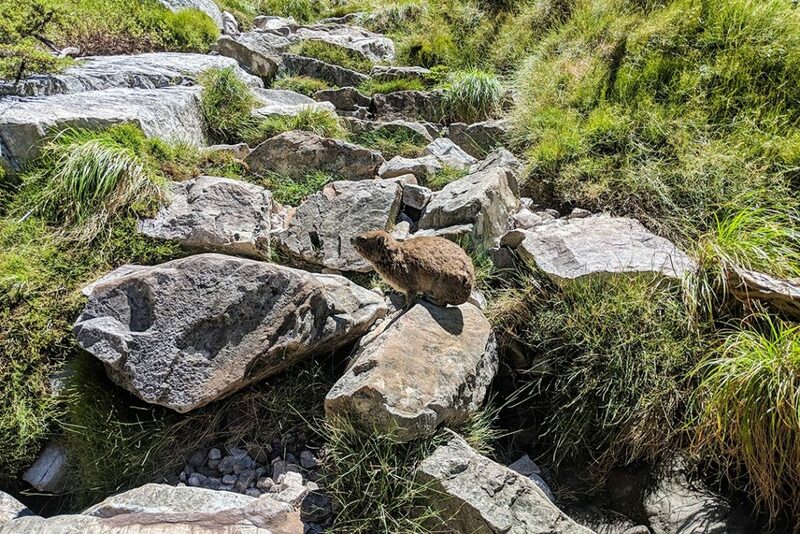 In the height of summer, you might find yourself with lots of company while hiking Table Mountain. 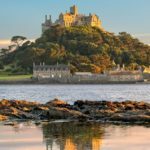 At the top, you’ll likely see tourists hogging prime photo spots or generally causing nuisance. Be patient and keep your cool. Remember that you’re part of the crowd too. Just take a deep breath and wait your turn. Most tourists stick to the viewing platform near the cable station. 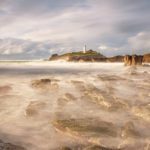 In fact, few are aware that they haven’t actually ‘topped out’ on the mountain given that the highest point of Maclear’s Beacon is 2.5km away from the Upper Cable Station. 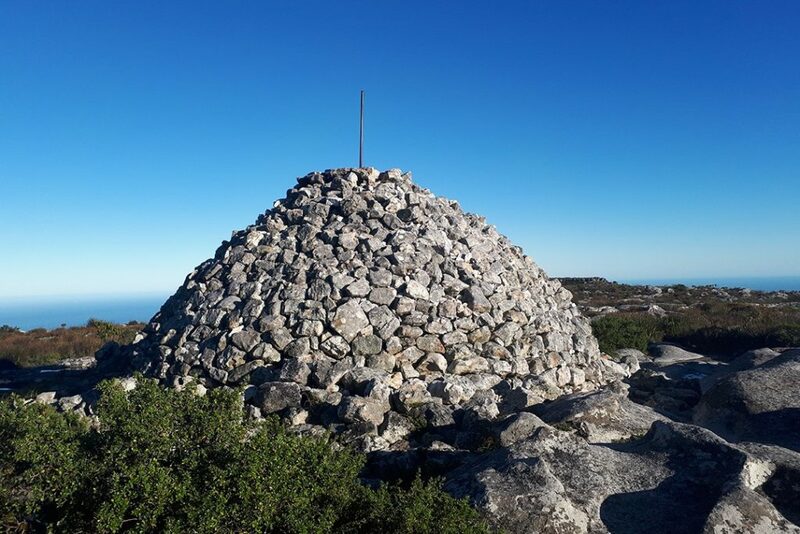 If you have time, do the Upper Cableway Station to Maclear’s Beacon Walk detailed here. 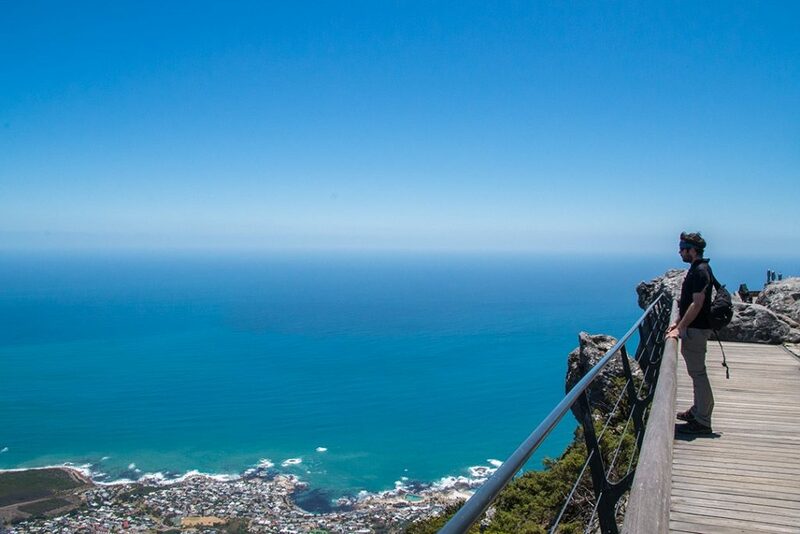 The paths around the top of the mountain offer jaw-dropping 360-degree views of Cape Town, Table Bay and the rest of Table Mountain National Park. 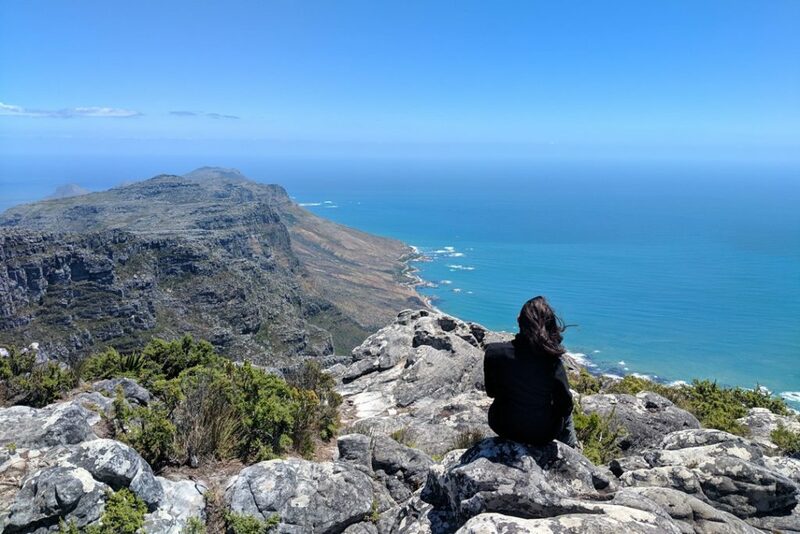 Hiking up Table Mountain is taxing so it’s natural to feel a sense of relief on your way down. It would be a mistake, however, to get complacent. 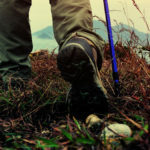 Steep steps and loose rock make it easy to slip and fall if you’re not paying attention. 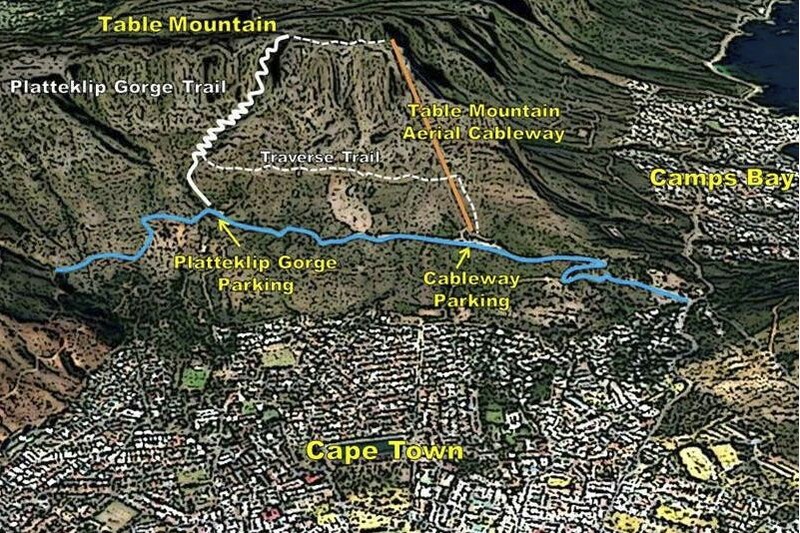 If you’re hiking Table Mountain only one way, you will have to take the cableway in the other direction. 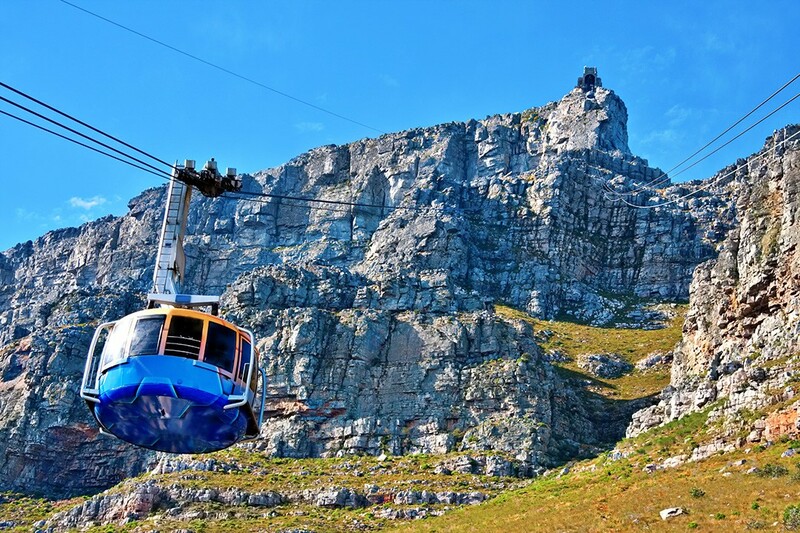 Buy tickets online beforehand so your only wait will be for the cableway and not the ticket booth as well. Bear in mind that you may have to queue for an hour or more to catch the cableway down the mountain, especially in peak season. Allow enough time for the return trip especially if you have plans for later in the day. 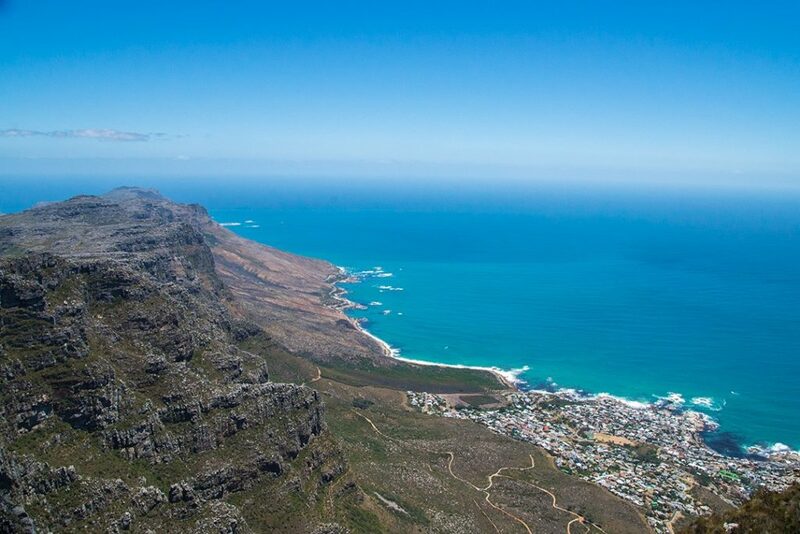 If you plan to take the cableway down after hiking Table Mountain, bear in mind that it may shut halfway through the day depending on high winds, bad weather or thick cloud cover (known as the ‘tablecloth’) . After our descent, we met a solo traveller who had spent barely minutes at the top because she wanted to catch the last car after it was announced that the cableway was closing due to strong winds. 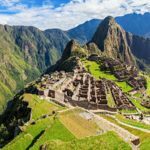 In the same situation, you may wish to take your time on the summit and hike down rather than rush your visit to catch a cable car. Either way, leave plenty of time before nightfall to come back down the mountain. 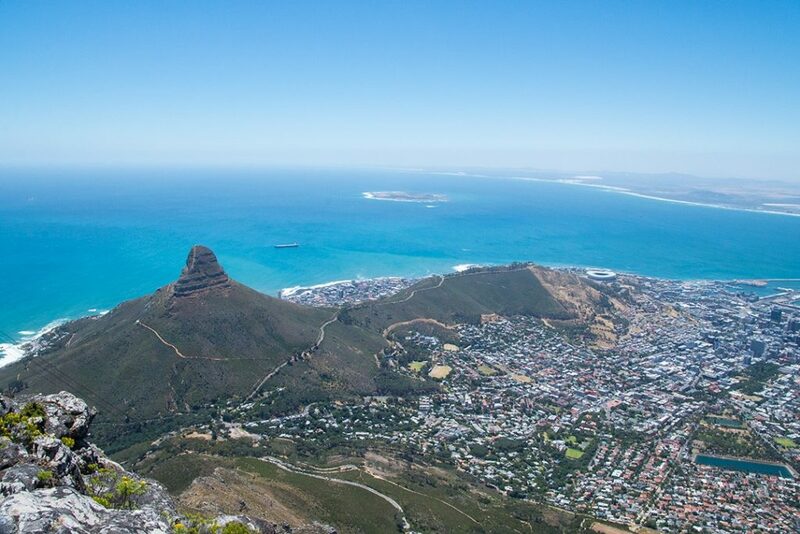 What: Hiking Table Mountain in Cape Town, South Africa. 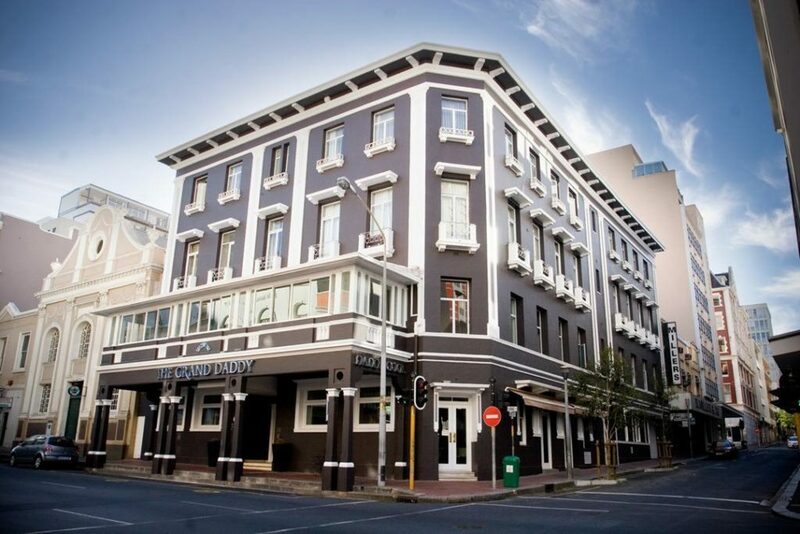 Where: We stayed at The Grand Daddy, a boutique hotel on Long Street, a 15-minute walk from the V&A Waterfront. 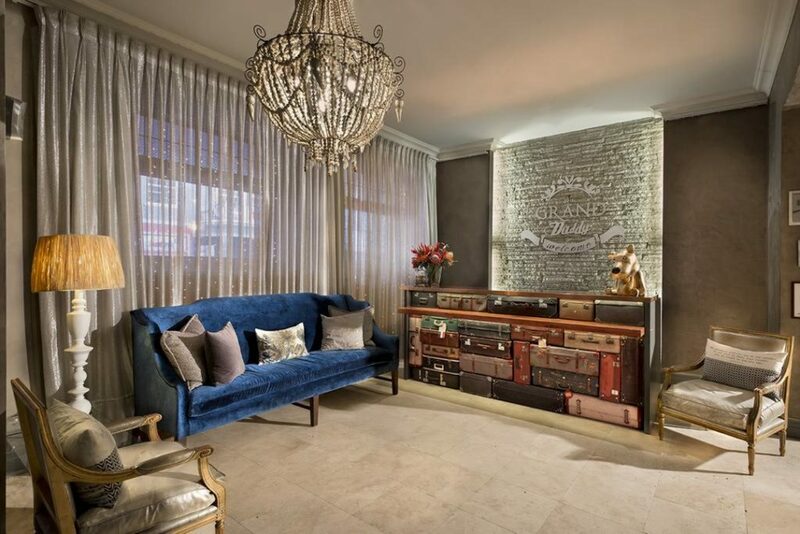 The hotel is elegant with distinctly quirky touches: the reception desk is constructed from vintage suitcases, the rooftop has seven artistically renovated Airstream trailers and the elevator is said to be the oldest still operational in Cape Town. The on-site restaurant serves a great breakfast and the nearby Bombay Brasserie offers excellent fine dining at a reasonable price. 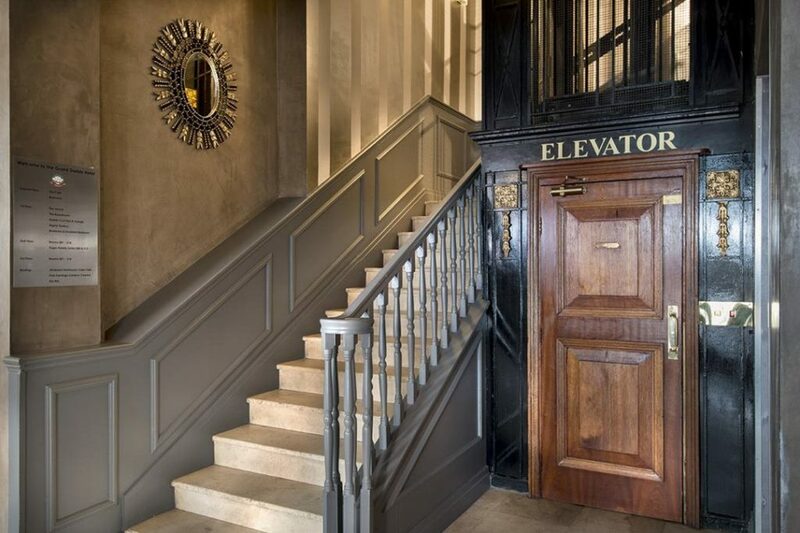 The Grand Daddy is a great base, but do note that the ‘Standard’ level room has no natural daylight. We were moved on request (after a bit of wrangling with a receptionist). Book a ‘Superior’ or ‘Luxury’ room to avoid this. 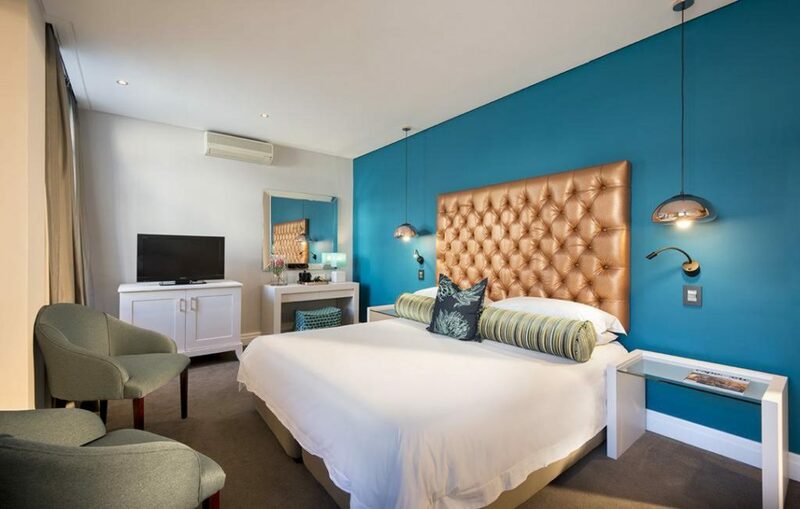 When: The best time to visit Cape Town is during the warm summer months of Oct-Apr. Temperatures peak between Dec-Feb and this is also the busiest period. 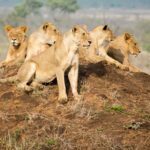 If pairing Cape Town with a safari, note that game viewing is best during the dry winter (May-Oct) as animals gather around water holes and the lack of vegetation gives guests a clearer view. In spring (Nov-Dec), you can spot lots of newborns. 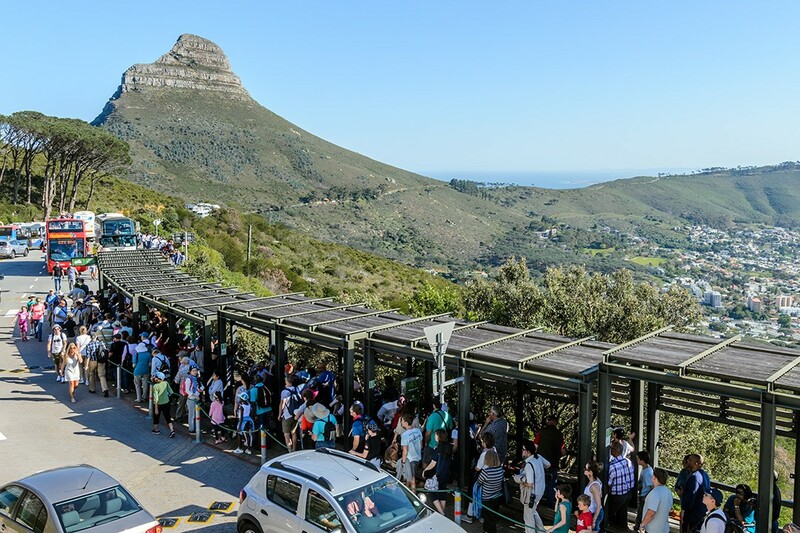 How: You can take a MyCiti Bus to Table Mountain. This stops at the Lower Cable Station so you will have to walk to the trailhead 2km away or do a long traverse along the mountain. 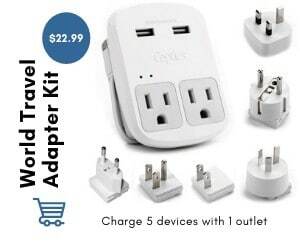 Alternatively, arrange a taxi via your hotel reception or order an Uber. 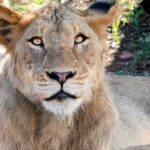 We flew to Cape Town with South African Airways. Book flights via Skyscanner for the best prices. If you have time, we recommend visiting Lesotho and Eswatini (Swaziland) during your trip to South Africa.